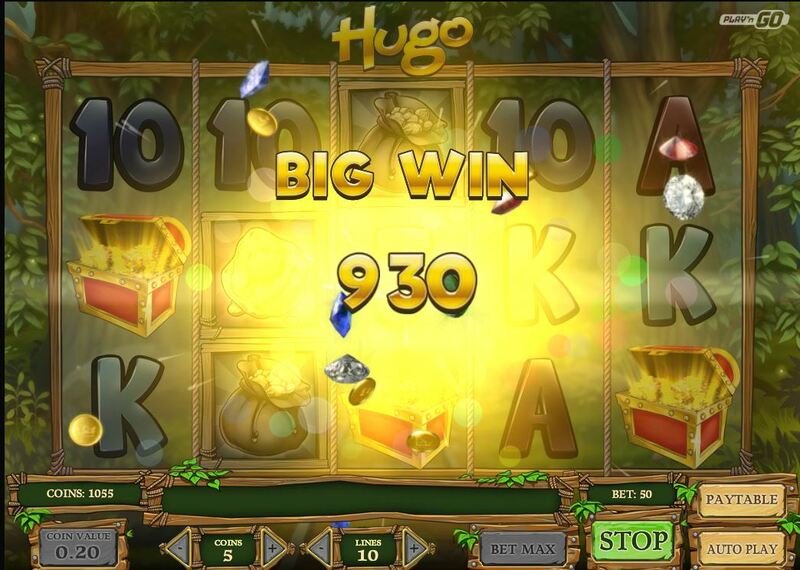 Hugo – New slot from Play’n’Go! Hugo slot – new game from Play’nGo! 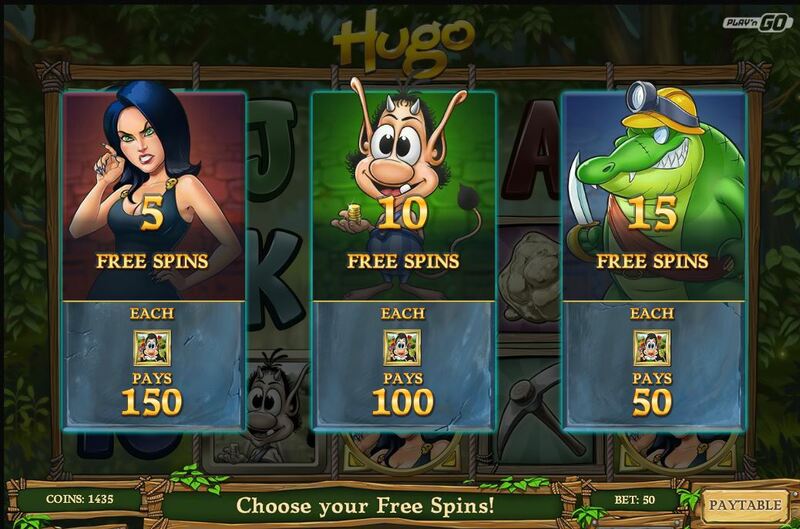 Probably many of you remember old TV game – Hugo, now you have a chance to play it in the online casino. Play’n’Go just released it and it really has some nice features. Treasure chest feature – if you will hit 3 treasure chest symbols you will be rewarded with extra bonus round. 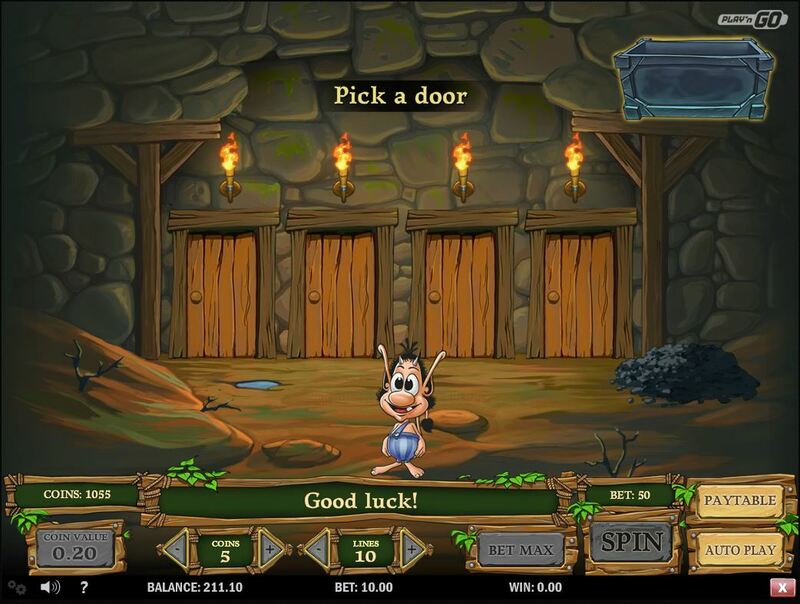 In the bonus round, you will need to reach the treasure chamber and to do that you will need to pick the correct door, for each door you can receive the extra award with coins. If you will get spotted by Don Croco the bonus game will end. We have already tested the game and you can surely get some great winnings! The RTP (theoretical return to player) in Hugo slot is 96,40%. You can play Hugo slot in Guts Casino – click here to register, and you will receive extra free spins with no deposit required!